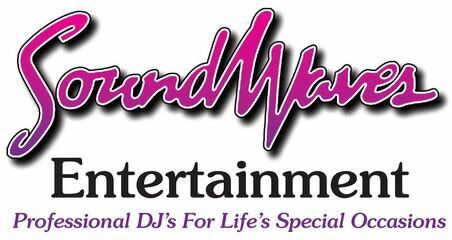 Associate DJ/MC Patrick Curran has been in the DJ industry for over 20 years taking party levels to new heights performing at weddings, corporate events, clubs, graduation parties and all types of events. Taking care of his clients is always his top priority, not just what music to play but all of the very important details that bring an entire event together. 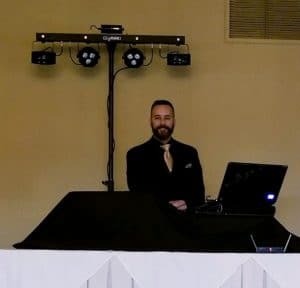 Loving music from all genres, Patrick is constantly figuring out ways to “cover all the bases” while creating an energy level on the dance floor that will keep all of your guests dancing and having a great time! Patrick is skilled at beat mixing and blending songs that will keep your guests on the dance floor all night making memories! During the day Patrick is a sign maker and graphic designer. If the weather is nice you’ll more than likely see him and his wife Rebecca out on the road or find them at home enjoying time with the children. Patrick is professional and focused with an emphasis on performance.